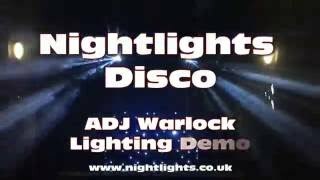 Considering purchasing the American DJ Warlock? Have questions? Ask people who've recently bought one. Do you own the American DJ Warlock? Why not write a review based on your experience with it. Great product which does exactly what is is said to do. Fast answers, good service, fast delivery. No problems. Thumbs up! I use the Warlock as my central lighting piece. It's powerful and very versatile. The gobo's are really clean and bright. When I end up using too much fog, it's the Warlock that cuts through and delivers stunning light beams. I never set up without it. I purchased a pair of these a year ago and they are fabulous. Two things stopped me from taking them out more often and that is the need for flight cases and suitable stands as they are fairly heavy beasts. Having now purchased both flight cases and decent stands for them, they are getting more outings in my rigs. The output is stunning and when controlled via DMX you can achieve everything from slow moving sweeps to fast-paced chases. They are super-bright and have a nice selection of gobos for all occasions. I now transport them in Swanflight cases (absolutely perfect and 100% recommended) and mount them on the new super-cool Gravity Square-based stands which are perfect for the job, clean-looking and solid as as rock. 100% recommended. A great centre piece. An expensive bit of kit but well worth the money. I'm saving up for another ! This light is amazing. The coverage is fantastic, being able to control it from an IR remote is a nice idea and it is super bright. I was initially a bit worried about spending this amount on one fixture, but this with some pars produces a decent show. 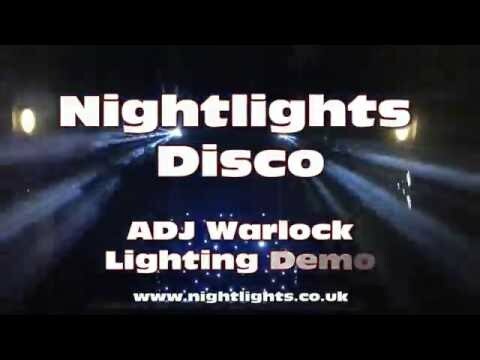 Seen a video for American DJ Warlock online or have you own video? Check out American DJ Warlock on DJkit.com!